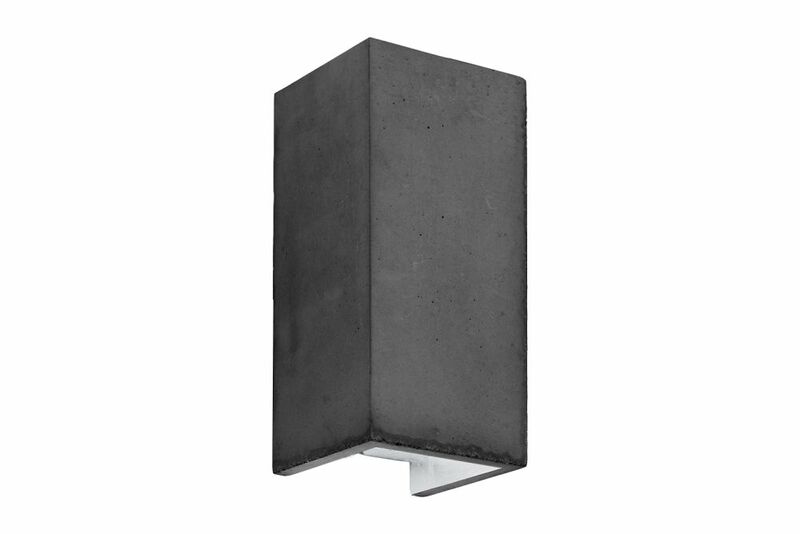 The rectangular wall lamp [B8] is cast from light or dark grey concrete and comes with a gold, silver or copper plating on the inside. The wall lamp works great as a solitary "eye-catcher" or alternatively it could be combined in a series along the entire length of a wall. Due to its minimalistic design and the contrasting materials, the lamp is modern and timeless at the same time. It can therefore be combined with any style. Included: The handmade lamp shade is delivered ready to install with two GU10 bulb mounts and mounting hardware. The lamp requires two GU10 light bulbs (please note that the bulbs are not included). GANTlights is a well-established Berlin based designer brand, renowned for its handcrafted luminaries. Experimental forms and highly contrasting materials such as raw concrete and gold are being brought together, resulting in a stunning aesthetic contrast.